Reality star Kourtney Kardashian is seen pushing a pram with her baby daughter Penelope inside led by her partner Scott Disick as they make their way to their car in a parking lot after shopping on Rodeo Drive in LA. Members of security attempt to keep the paparazzi away as the couple load up their car, on several occasions telling them to 'back up' because they were getting too close. 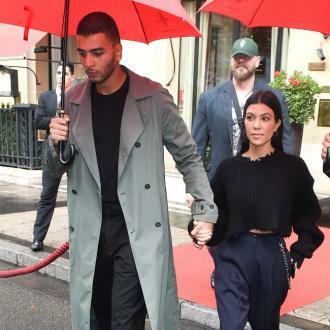 The stars didn't answer any of the questions posed by the paps, namely about her sister Kim Kardashian, nor did they acknowledge them much at all. 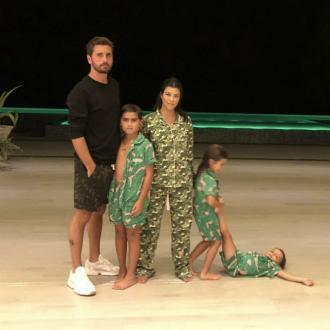 Kourtney Kardashian and Scott Disick's new show?